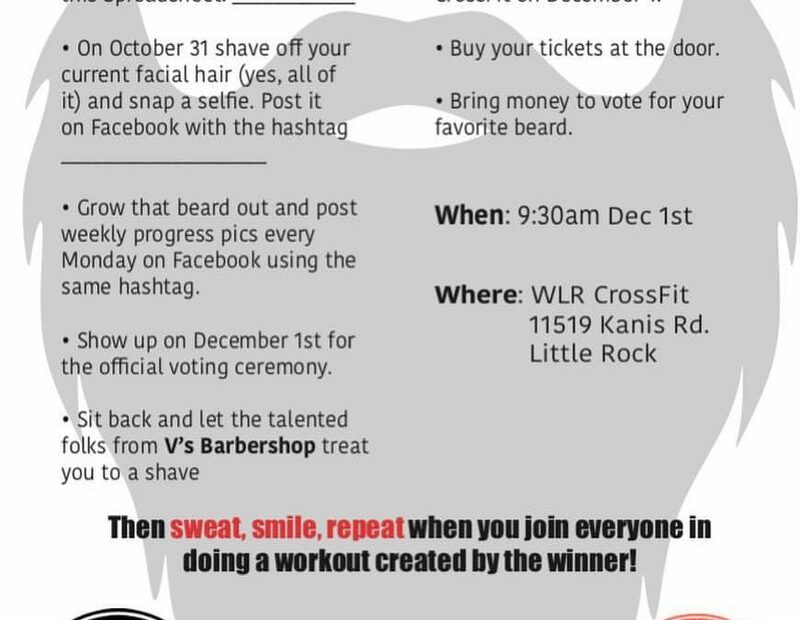 Pay $10 to vte on your favorite bearderd CrossFitters! The winner pick the wod for the day. The runner-ups partake in a burpee race right before the wod. Burpee Racing is simple.There are 10 burpees for each participant. 6 people= 60 burpees. All participants race through burpees on 321-go. The firt person to 10 stops at ten. The first person to 20 stops at 20, and so on until the max number is reached. It looks like V’s Barbershop wont be joining in on this one after all, so the boys will get to shape/style their beard to their liking before the vote. *No razors, trimmers are ok.
Show up before 9:30 for the fun and the workout after! See you there!